Hand Analysis | Welcome to Prints on Purpose! Isn’t this a fabulous quote? It was a writing prompt in Kathy Kane’s inaugural Purple Ink Cafe Writers’ Circle, and so appropriate for those of us navigating the School of Love! How can I get more comfortable with being who I am, and saying what I feel? When we are teenagers, we have this self-consciousness that stems from the conviction that everyone is looking at us and judging us. The reality? Everyone else is so busy worrying about what others are thinking of them that they have very little time or energy to notice us. This can be pretty obvious, too, in general conversations. How often do we really listen to what the other person is saying, right in the present moment, and absorb it? Frequently, we are forming our responses in our heads while the other person is still speaking. We miss the import of what they are saying, because we want to make our point or share our experience. I get this mental image of two heads facing each other, with a mirror separating them. Each person’s words are bouncing back to the speaker, never penetrating the partition. If we don’t believe we’re being heard, it’s hard to share our feelings. Feelings, after all, are messy things. Just going inside ourselves and sitting with them can make us feel pretty uncomfortable. Then to have to bring them to the surface and reveal them? Possibly to someone who may deflect them or disagree with them? Not easy. But this is the curriculum in the School of Love—learning to identify and share our feelings, appropriately and at a proper volume. Sometimes, we get a bit obsessed about the negative feelings that dwell beneath the surface, and forget that there are a lot of positive things down there as well. School of Love folks have the lifelong challenge of digging down, understanding what’s going on with our emotions, and then expressing them authentically and appropriately. 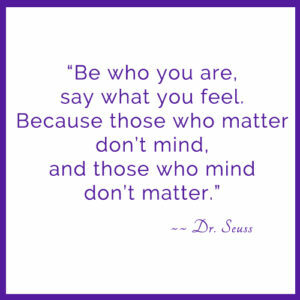 And when it gets scary, channel Dr. Seuss! This entry was posted in Hand Analysis and tagged authenticity, Inspiration, Life School, School of Love, Soul Psychology on July 20, 2016 by Donna Mills. 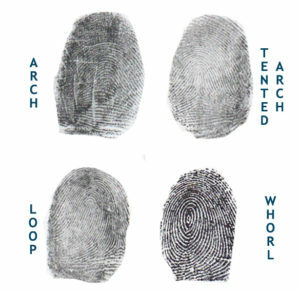 In a recent overview post on Life School, I described the four basic fingerprint patterns—arch, tented arch, loop and whorl. Each of these patterns is associated with a particular Life School. This week, we’ll look at the School of Wisdom. If you have at least two tented arches in your set of ten fingerprints, this is your school. If you are in the School of Wisdom, you are here to learn to move from thought and evaluation to action, so you can gain real, hands-on experience. This means being a participant in life, rather than just an observer. You need to be willing to make commitments, so you can ‘get off the fence’ and gain understanding through experience. Wisdom comes from experience, not from using your intelligence to insulate yourself from life. If you are in the School of Wisdom, you can be challenged by two extremes. On the one hand, you can be filled with doubt, always hesitating, procrastinating, and needing to ‘know more’ before taking action. You want to keep as many options open as you possibly can. Analysis paralysis is a hallmark of this end of the School of Wisdom spectrum. At the other end is The Expert, the know-it-all who operates from a position of dogma—a ‘my way or the highway’ perspective. Do you have to be right? Always know best? Are you a perfectionist? Do you shudder at the prospect of making a mistake? These are some of the pitfalls of the ‘too much’ end of the School of Wisdom. The School of Wisdom is designed to give you practice in seeing the big picture, taking calculated risks, committing, and gaining expertise through doing—then sharing your experience-gained wisdom with others. How difficult is it for you to say ‘yes’ to something, knowing that means saying ‘no’ to other things? If making decisions is challenging for you, what steps can you take to help yourself move from observation to action? This entry was posted in Hand Analysis and tagged Decode, Life School, School of Wisdom, Soul Psychology on June 15, 2016 by Donna Mills. 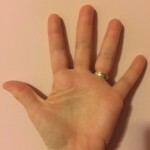 If you look at the tips of your fingers, you’ll see some patterns there. If you can look at the tips of your fingers with a magnifying glass under a good light source, you’ll see those patterns more clearly. 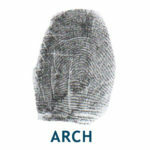 Arch: An arch is made up of ridges that run almost parallel to each other across the tips of your fingers. There may be a rise or bump in the middle, but there is no looping or poking or twirling around. 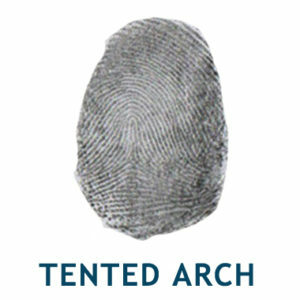 Tented Arch: A tented arch looks like an arch that has a tent pole sticking up in the middle (hence the term ‘tented arch’!). The parallel ridges of the arch have to travel up that pole, over the top of it, and down the other side. 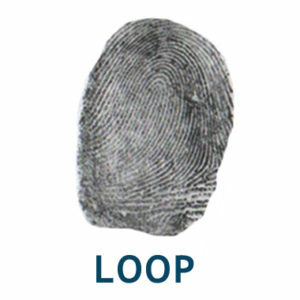 Loop: A loop looks like a group of parallel ridges that enter from one side of the finger, rise up to some degree, then double back and flow out on the same side of the finger from which they entered. 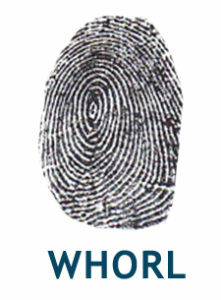 Whorl: A whorl looks like a bullseye—a nice roundish target in the middle of your finger. So take a look—what patterns do you have on your fingertips? This entry was posted in Hand Analysis and tagged Decode, Life School, School of Love, School of Peace, School of Service, School of Wisdom, Soul Psychology on June 1, 2016 by Donna Mills. What Is Life School, Anyway? 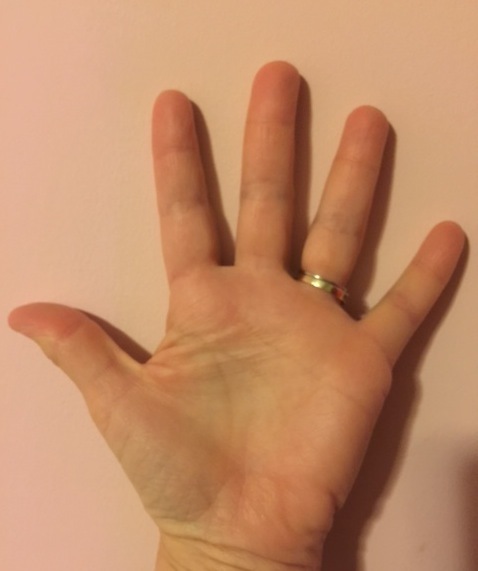 In the world of hand analysis, your Soul Psychology refers to the three aspects of your unique spiritual self—Life School, Life Lesson, and Life Purpose—that are revealed in your fingerprints. Because your Soul Psychology is based on your fingerprints, it doesn’t change over the course of your lifetime. As any good crime-show fan knows, fingerprints are used for identification because they are exclusive to each individual. Your Soul Psychology is permanently hardwired into your psyche. It defines what, over the course of your life, will prove valuable and fulfilling for you. Knowing your own Soul Psychology can make a huge difference in your ability to navigate your world in a way that makes your life meaningful. The Life School piece of your Soul Psychology is the foundation for your ‘world view.’ It’s the water in which you are swimming, the frame around your jigsaw puzzle—or maybe the table on which that puzzle is laid. While we are all engaged in every Life School to some degree, one or two will require extra care and attention. 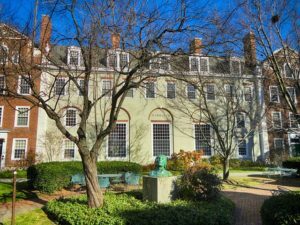 Think of it as a course of study in the American university system. When we go to college, we have to complete general education requirements (dabbling in all of the Life Schools). But we also have to complete courses in our major area of study. Each student has at least one major (and sometimes more than one). Your Life School is your major. And your fingerprints identify what that major (or majors) is for you. More on how that works next post! This entry was posted in Hand Analysis and tagged Life Lesson, School of Love, School of Peace, School of Service, School of Wisdom, Soul Psychology on May 25, 2016 by Donna Mills.